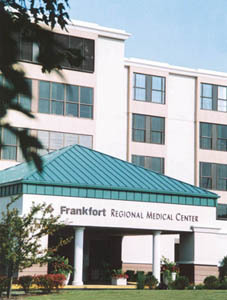 Frankfort Regional Medical Center is a 173-bed, acute care facility, Accredited Chest Pain Center and Level III Trauma Center that serves Franklin, Anderson, Owen, Woodford, Shelby and surrounding counties. The medical center has received numerous awards and accolades for its quality of care, including Magnet® designation for nursing excellence. The hospital offers an array of specialized services to meet the community’s health and wellness needs, and has been accredited by The Joint Commission. For more information, visit www.frankfortregional.com.